The state flag of Arkansas includes an explicit reference to the Confederacy. The overall design can be seen as having similarities to the Confederate battle flag of the American Civil War. 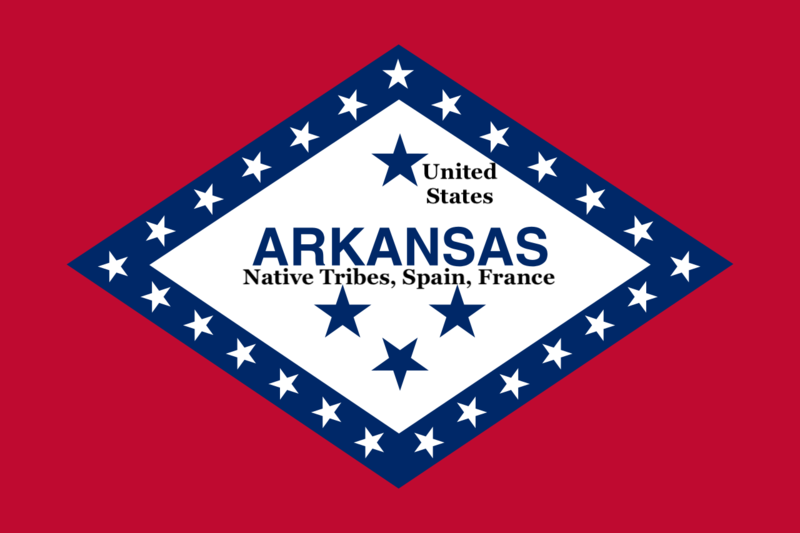 The early 20th-century legislation establishing the banner sets four large blue stars within a diamond to refer to the nations to which Arkansas has belonged: a triangle indicating Spain, France and the United States, and separately and uppermost the Confederacy. Local 965 of the American Federation of State, County and Municipal Employees approved such a resolution March 28, 2019. I wrote the text, being a union member, sitting on the board as recording secretary and communications director. [A similar post is on the 965 website.] The rationale is that nearly all Local members are directly and indirectly workers in education. A modern flag is a teaching device, presenting facts and concepts. Educators have a vested interest in symbols that we use to impart knowledge and values. Next > Lunch. Free? Sure.